Yesterday we have emphasized the needs to score more in the tests. In Day 2 Test Results, Thiruvithamkoor Chekavas Team (Trivandrum branch) has aced the match by 0.2 points. Even, 0.2 difference doesn’t make a huge difference, we must congratulate the effort they put to achieve this peak. This is what a real competition is. 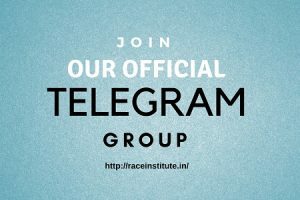 The war is a close one and the victory went to the Trivandrum branch. The margin of victory is only 0.6 points. Ernakulam branch is not less and has contested in a great manner. Trivandrum branch was close to winning the contest, but the victory went to Ernakulam branch by 0.4 points. From the SSC Aptitude, Ernakulam branch leads by 0.4 Point. 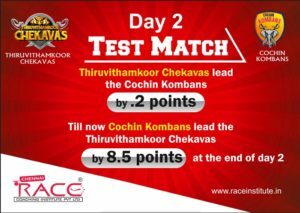 Thiruvithamkoor Chekavas lead the Day-2 Test by 0.2 Points when SSC and PSC results are Combined together.